Loving Mother and Foal sterling silver diamond horse necklace. This necklace will bring a smile to every horse lover. Heart shape measures 22.7mm in length by 18.7mm across. Diamonds are accents and total .03ctw. Such an adorable necklace for the horse lover in all of us. Exciting design, sterling silver pendant set with a center rainbow cz and white cz's accent all around. Very artful design. 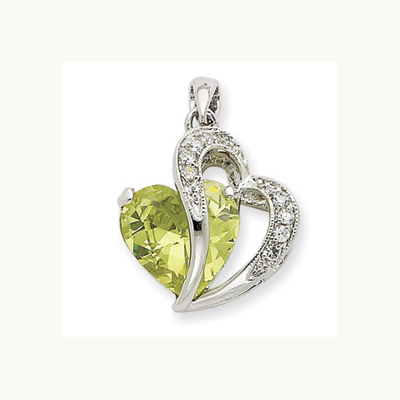 Sterling silver peridot color green cz heart is combined with a side sitting sterling silver white cz encrusted design. Very pretty pendant. 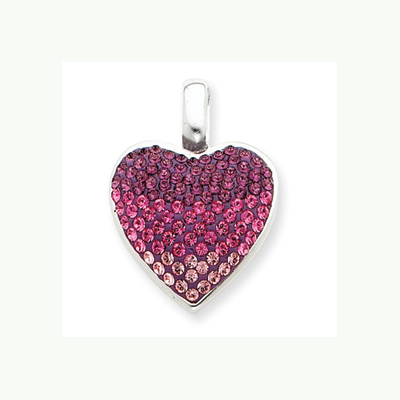 Pretty sterling silver cz Ferido style heart pendant. 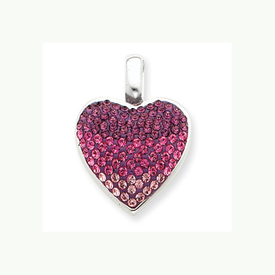 Starting with a light pink , then moving to a medium pink, and finally a dark pink cz creates this unique heart pendant. A very pretty gift idea. 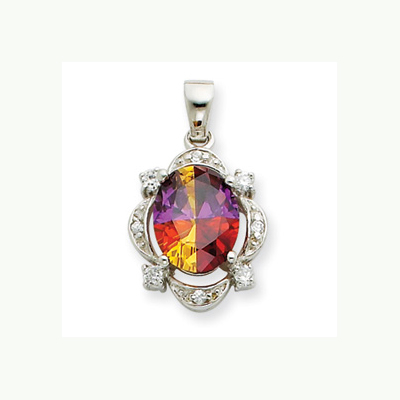 Vibrant sterling silver unique design pendant set with a mystic color cz and white cz's. A very cool pendant. 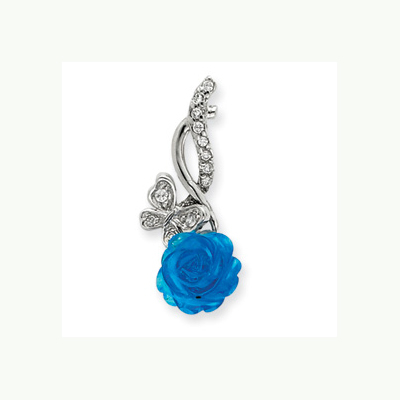 Beautiful sterling silver glass blue flower and cz pendant. This delightful pendant features a glass blue rose with a butterfly accent. You'll love this and it will make a wonderful gift. 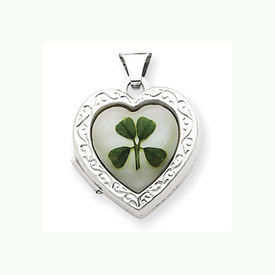 A little Celtic flair gives this locket it's unique style. 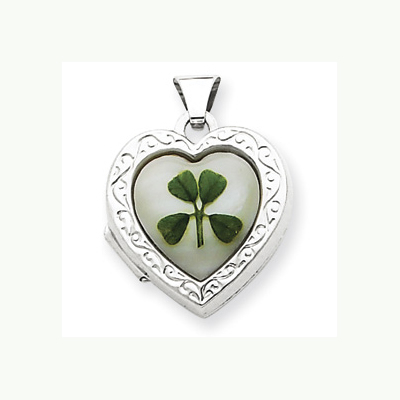 Sterling Silver mother of pearl face with a 4 leaf clover heart locket. Fun locket will hold 2 of your precious images. 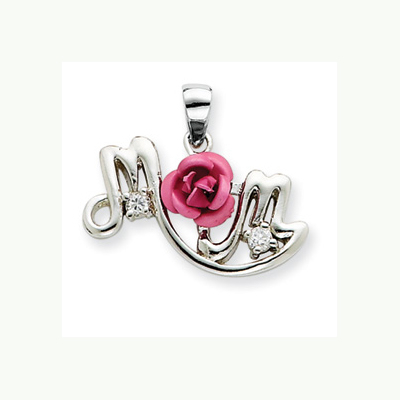 Pretty sterling silver pink flower and cz "Mom" pendant. 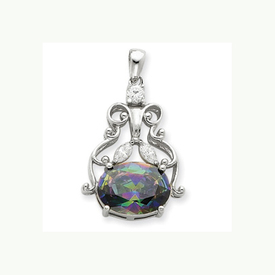 This pretty little pendant is a perfect gift for mom. She'll love the pink rose center and little cz sparkle under each "M". 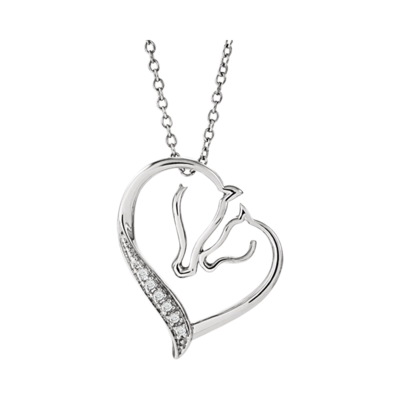 We are including a 16" silver chain to complete this item. 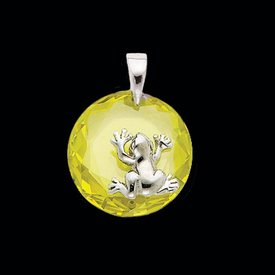 Adorable sterling silver frog sits on a large green cz. This cute pendant is just a fun to wear item, perfect for day to day casual wear. 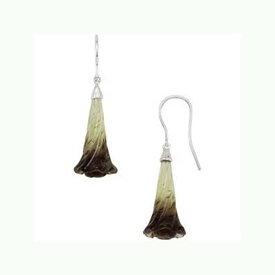 Cute sterling silver phantom quartz earrings. These earrings measure 20mm by 10mm and are adorable.